A few days ago, OnePlus teased us with a strange commercial that seemed to suggest a new color of the OnePlus 6 was coming. The company has now made this official via a post on their official blog, where they announced the new color will simply be called “Red”. OnePlus says the Lava Red edition OnePlus 5T was quite popular, but they wanted to take a more restrained approach this year, producing a color that bled passion while maintaining an ounce of restraint. OnePlus says they wanted the new color to have a clear quality similar to amber, but to also have “an enduring appeal that will last for years to come”. The company is using a new film coating process that has never been attempted before in the smartphone industry, which is reminiscent of the film coatings the company has applied to the other color variants of the device. This new color required an evaporated layer of brightening film which the company worked to make completely clear, resulting in the glossy look OnePlus has achieved behind the glass. 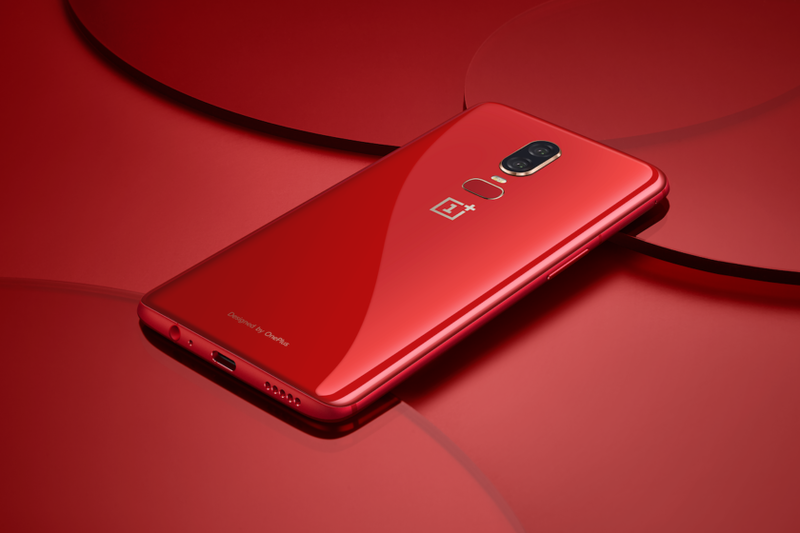 If you want to get your hands on the new red color yourself, it will be available across all global markets OnePlus phones are sold, exclusively in the 8 GB RAM and 128 GB storage configuration. The new color will maintain the same $579 price-tag as the other colors and will be available from July 10. What’s your opinion on this new color? We’ll try to get our hands on one in the coming weeks so you can have a better look.